How Far is Green Lands? Visakhapatnam has a new address for life. New Sunrise Promoters presenting 'Green Lands'. Minutes away from proposed Greenfield International Airport. A lot closer to life with an additional feature of Individual Villa construction. Green Lands is a perceived visible, external denotation of one's social position and perceived indicator of economic or social status. New Sunrise Promoters launched abig eco-friendly venture in Vizianagaram which represents the status of every person. 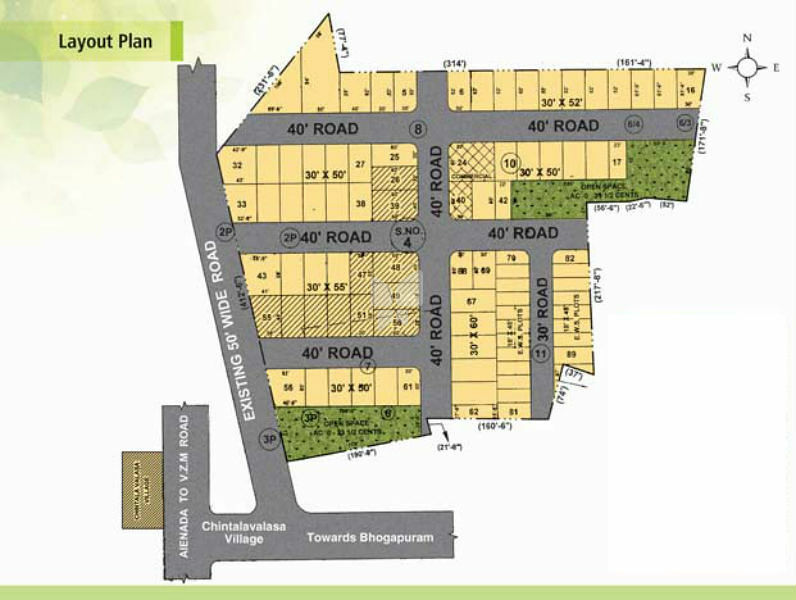 A plot in 'Green Lands' give you a prestigious mark. Located bit away from the restrictions of the city, yet a wish away from all the benefits near Vizianagaram which is very nearer to MVGR Engineering College. Our venture is a fastest growing location with close proximity to the tranport facilities and prominent places in the area. Close proximity to major IT & Manufacturing companies, International Cricket Stadium. Very near to APSP 5th Battalion, Chintalavalasa. Very near to NH-16 Bhogapuram Road. Very near to Ganlam Sri Venkateswara Swamy Temple. 5 k.m distance from Vizianagaram outer ring road. Very near to proposed Green Field Airport. Very near to Engineering Colleges. The team of New Sunrise Promoters has expertise in time bound execution of Construction and Layouts. New Sunrise Promoters operates in building premium residential apartments and approved plot developments. We aim to stay abreast with the changing trends and standards in the building industry as materials and processes continue to evolve.